China warned Sunday after another round of talks on a sprawling trade dispute with Washington that any deals they produce “will not take effect” if President Donald Trump‘s threatened tariff hike on Chinese goods goes ahead, CNBC reported. The warning came afterdelegations led by U.S. Commerce Secretary Wilbur Ross and China’s top economic official, Vice Premier Liu He, wrapped up a meeting on Beijing’s pledge to narrow its trade surplus. Ross said at the start of the event they had discussed specific American exports China might purchase, but the talks ended with no joint statement and neither side released details. The White House threw the meeting’s status into doubt Tuesday by renewing a threat to impose 25 percent tariffs on $50 billion of Chinese high-tech goods in response to complaints Beijing steals or pressures foreign companies to hand over technology. The event went ahead despite that but Beijing said it reserved the right to retaliate. Tuesday’s announcement revived fears the conflict between the two biggest economies might dampen global growth or encourage other governments to raise their own barriers to imports. 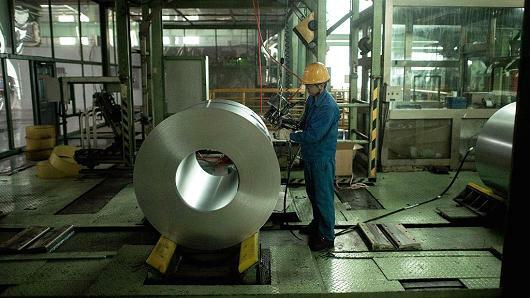 “If the United States introduces trade sanctionsincluding a tariff increase, all the economic and trade achievements negotiated by the two parties will not take effect,” said the Chinese statement, carried by the official Xinhua News Agency. The negotiating process should be “based on the premise” of not fighting a “trade war,” the statement said. The American Embassy in Beijing didn’t immediately respond to a request for comment. Trump is pressing Beijing to narrow itspolitically volatile trade surpluswith the United States, which reached a record $375.2 billion last year. Tensions eased after China promised on May 19 to “significantly increase” purchases of farm goods, energy and other products and services following the last round of talks in Washington. U.S. Treasury Secretary Steven Mnuchin said the dispute was “on hold” and the tariff hike would be postponed. That truce appeared to end with Tuesday’s surprise announcement. It said the White House also will impose curbs on Chinese investment and purchases of U.S. high-tech goods and on visas for Chinese students. Analysts suggested Trump might be trying to appease critics of his administration’s deal to allow Chinese telecom equipment giant ZTE Corp. to stay in business. They said those political pressures mean the technology-related tariff hikes are likely to go ahead. Members of Congress criticized the agreement to lift a ban on sales of U.S. components to ZTE, which admitted violating rules on exports to Iran and North Korea. In exchange, the company is to remove its management team, hire American compliance officers and pay a fine. Trump has threatened to raise tariffs on a total of up to $150 billion of Chinese goods. Tuesday’s announcement gave no indication whether the other increases might also go ahead. China has threatened to retaliate by raising import duties on a $50 billion list of American goods including soybeans, small aircraft, whiskey, electric vehicles and orange juice. It criticized Tuesday’s announcement but refrained from repeating its earlier threat. Beijing has resisted U.S. pressure to commit to a firm target of narrowing its annual surplus with the United States by $200 billion.